Whether you drive or bike the dreamy fields, you’ll want to make sure Mother Nature is ready for you. EVERY SPRING, the fields of the Skagit Valley erupt into a riot of color as millions of tulips burst into bloom. 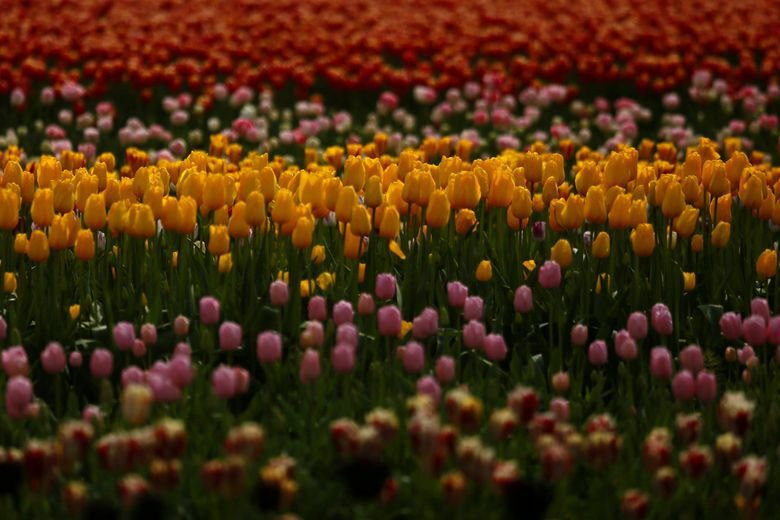 Now in its 35th year, the Skagit Valley Tulip Festival was inaugurated in 1984, when Mount Vernon Chamber of Commerce members realized people were coming by the thousands to view the tulips, and decided to add festivities to visitors’ trips to the Skagit Valley. The first festival was only three days long. In the following years, it grew to 10 days, then 17. For more than five years, the festival has taken place during the entire month of April and attracts hundreds of thousands of people from all over the world, including visitors from all 50 states and 93 countries. 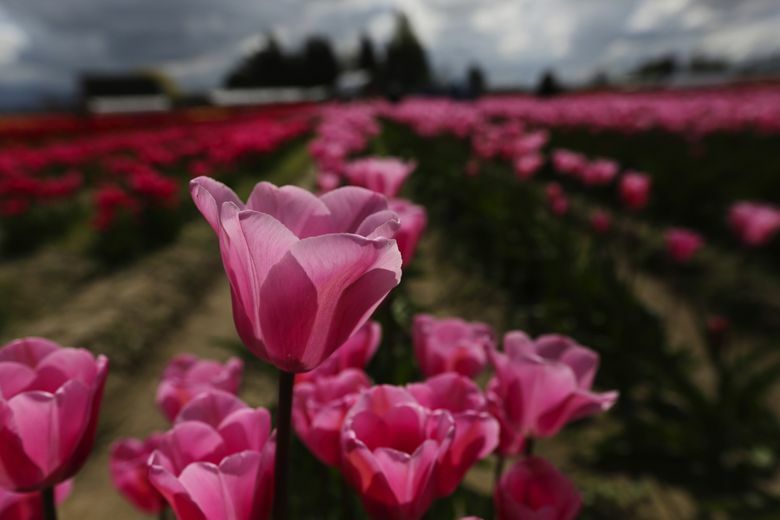 The Skagit Valley Tulip Festival begins April 1 and runs through April 30, but as the disclaimer states on the festival website: “Bloom Dates According to Mother Nature.” For updated information regarding which fields are in bloom at a given time, visit tulips.com/bloommap. 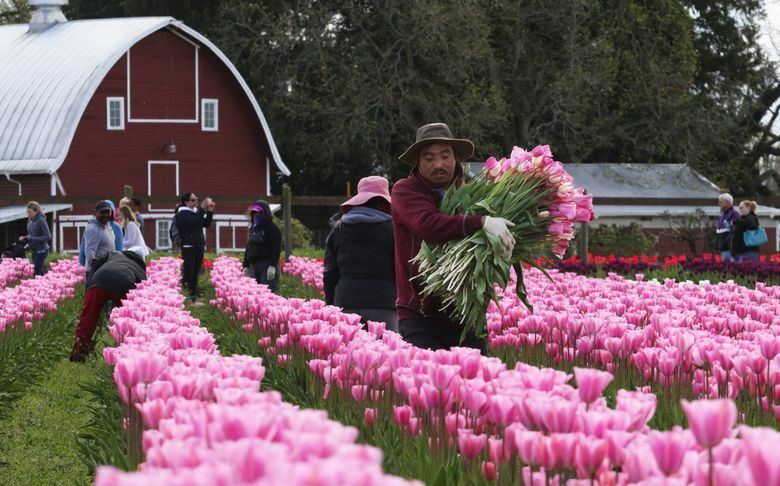 Visitors come to see acres of fields filled with colorful tulips, iris and daffodils scattered throughout the Skagit Valley, as well as to tour the display gardens at RoozenGaarde and Tulip Town. RoozenGaarde is a division of Washington Bulb Company Inc., the largest flower-bulb grower in North America. The 5-acre display garden at RoozenGaarde features an authentic Dutch windmill and spectacularly colorful beds, with more than 500,000 bulbs in full bloom. An adjacent 25-acre tulip field filled with striking color combinations creates gorgeous photo opportunities. All of the flower varieties are labeled throughout the display garden, so visitors can take advantage of the discounts offered when ordering their favorite spring-blooming bulbs (for fall delivery). Tulip Town, owned by Anthony (the self-described “sheriff of Tulip Town”) and Jeannette DeGoede, includes an authentic windmill, an indoor flower and garden show and a fine arts gallery. 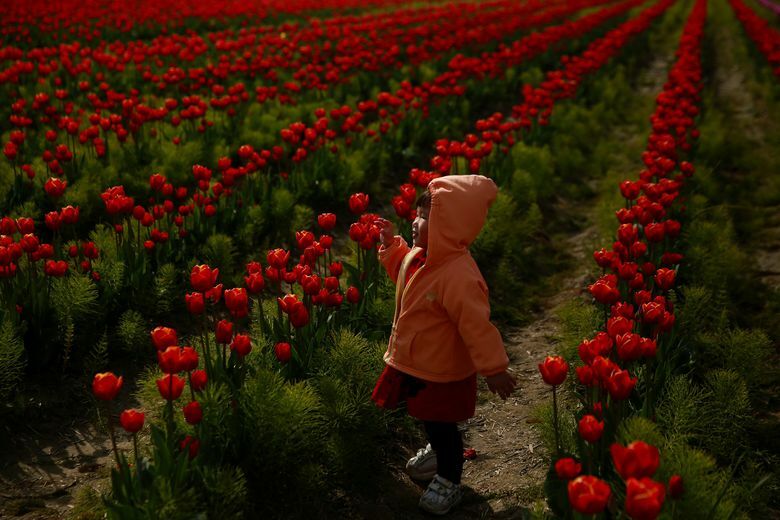 It offers trolley rides through the tulip fields that are planted in the colors of the rainbow. Both demonstration gardens have gift shops offering a wide assortment of official Tulip Festival souvenirs, fresh-cut tulips and a great selection of spring-blooming bulbs for fall delivery. Viewing the colorful tulip fields and visiting the demonstration gardens are only the beginning of the festival fun. There are all sorts of activities, too, including fun runs, bike rides, wine festivals, art shows, salmon barbecues, a parade and helicopter tours. Don’t miss the Mount Vernon Street Fair, held Friday through Sunday, April 20-22. It features hundreds of arts and crafts booths; live entertainment; children’s activities; and a wonderful variety of food and beverage concessions, including beer and wine gardens. You’ll find a list and descriptions of all of the festival activities at tulipfestival.org. The festival is designed as a driving tour. The colorful fields filled with spring-blooming bulbs are scattered throughout the Skagit Valley. Traffic is lighter on weekdays. Because most tulip fields, events, attractions and display gardens can be accessed easily by bicycle, and the roads in the valley floor are flat and easy to navigate, cycling is a great way to enjoy the festival. Brochures and interactive and printable maps are available at the festival website to help you plan your route. Tulip Country Bike Tours offers bike rentals on a limited basis, complete with a map, self-guided tour route, and staff recommendations for lunch and other stops. Visitors with their own bicycles can join the guided tours at a discounted rate. Dress in layers, so you’re prepared for any kind of weather, and don’t make the mistake of thinking that the flat terrain will make the riding easy. Having ridden it, I’ve discovered there is a quirk of nature in the valley: No matter what direction you ride, it’s always against the wind!